Progress Lighting Acrylic Round Collection Ceiling fixture comes with white acrylic diffuser and White finish. It supports (3) 13-Watt 2-pin twin CFL lamps for energy efficiency, superior color rendering and long life. It offers easy twist on installation with a single locking thumb screw and supports wall/ceil mounting. It is suitable for bathroom lighting and/or hall and foyer lighting. 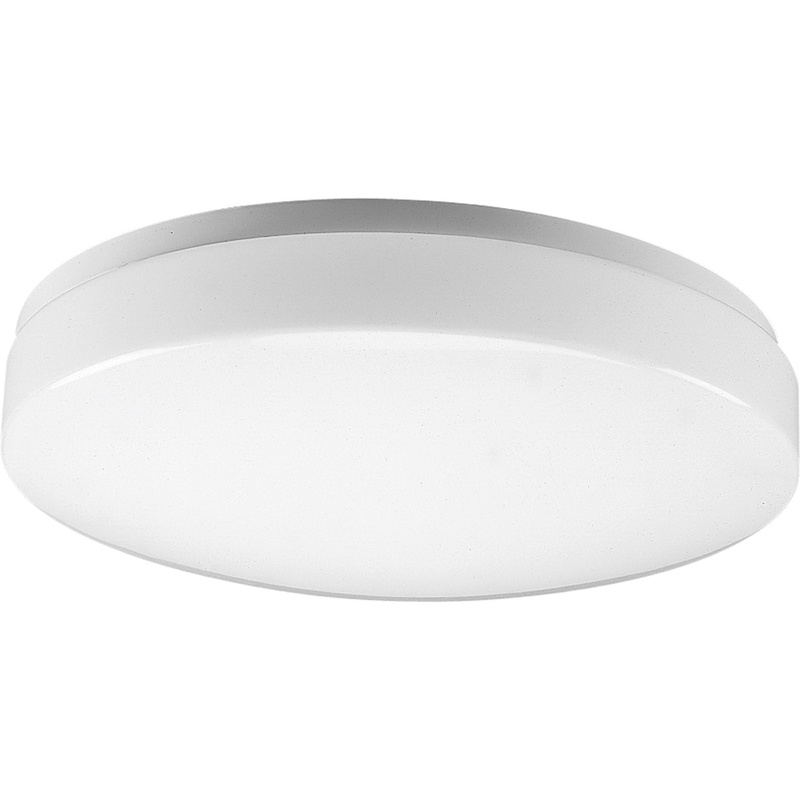 Ceiling fixture meets UL-CUL and ADA standards.